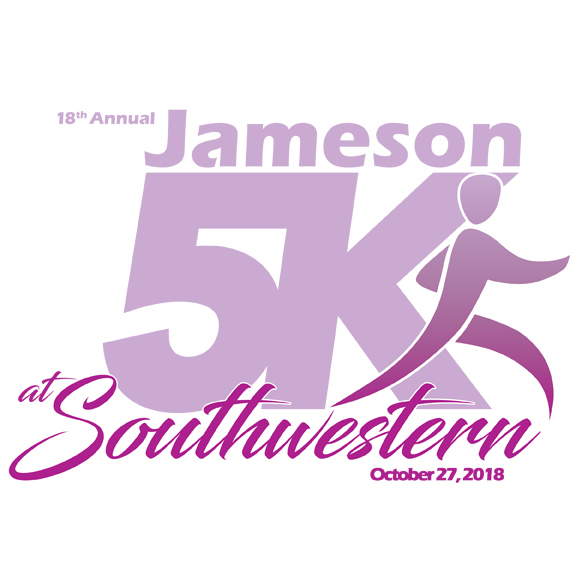 Our 18th annual race benefiting the Jaysn Jameson Memorial Scholarship at Southwestern University! Come enjoy a small, friendly, hometown 5K run/walk through and around Southwestern and Georgetown. We also have a 1 mile Mosey limited to the campus area. Alumni runners and walkers won't want to miss this homecoming event. Lots of door prizes! The Start/Finish area is located on Southwestern Blvd between the Robertson Center and Joe Mundy Hall. Parking is available but limited. Be advised that the Start/Finish line will completely block Southwestern Blvd. for the duration of the event. For more information, please visit our website at www.jameson5k.org.